Want it by Wednesday 24th April? Order within 3 days, 20 hours, 37 minutes and choose Next Working Day - Kerbside Delivery (Order Must be Placed by 2pm) at checkout. 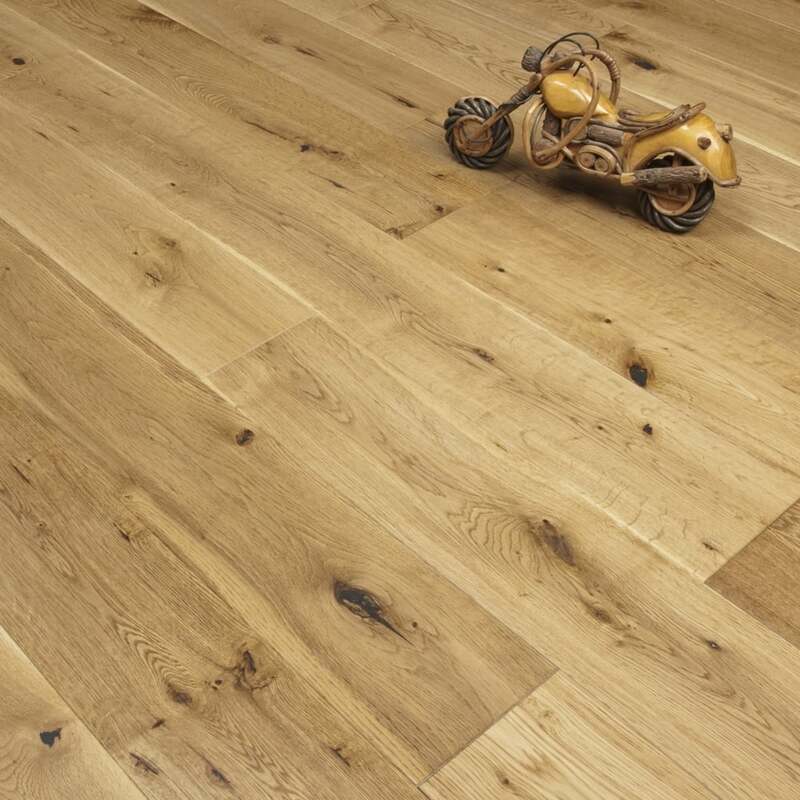 Our Timeless Engineered Lacquered Oak floor is in high demand, not surprisingly! With a 5mm Oak Veneer on top of a 13mm 3Ply core, this board is durable, hard wearing and absolutely stunning. The Lacquered finish is a big bonus for those with kids or animals, as any moisture spillages will not have the same effect as on an oiled board - the water/juice will sit on top of the floor, as opposed to seeping into the boards themselves. The Lacquer also gives the floor a luxurious appearance, making it look even more impressive. It is a common mistake to think that engineered flooring is a cheaper alternative to solid wood flooring as many believe it is a lesser quality. This is however, is not the case. Although engineered flooring is not a 100% solid wood product, it does possess a number of advantages over real wood and other floor coverings. Engineered flooring is created by bonding several layers of MDF or plywood together to create a strong and resilient base for the solid veneer. After sanding, each floor is prefinished with 5 coats of aluminum oxide which has the dual benefit of offering protection to the surface, while also enhancing the visual appearance of the floor. The grading of the floor is classified as rustic. Each board is carefully selected once manufactured to ensure even variations of (rustic) planks are available within each box. Depending on your taste you can make this floor work in a number of ways. For the traditionalists - oak furniture and soft lighting will create a very earthen, natural appeal to the room. For the modernists, minimalist furniture and silver furnishings will be accentuated by the floor. It is truly an "all rounder." The only way to truly appreciate how amazing this floor is is to order a FREE SAMPLE and see for yourself!